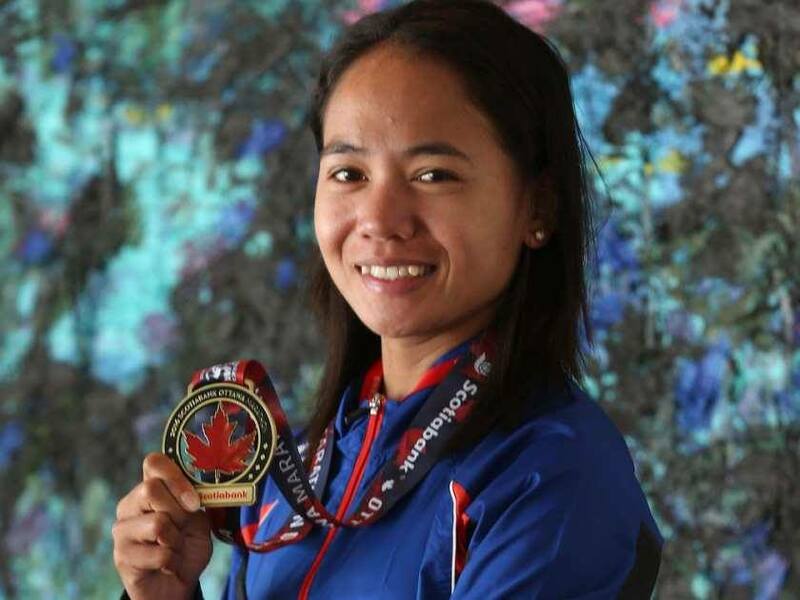 PATAFA has finally released an official statement regarding their final decision on the reinstatement case of Filipina athlete Mary Joy Tabal. 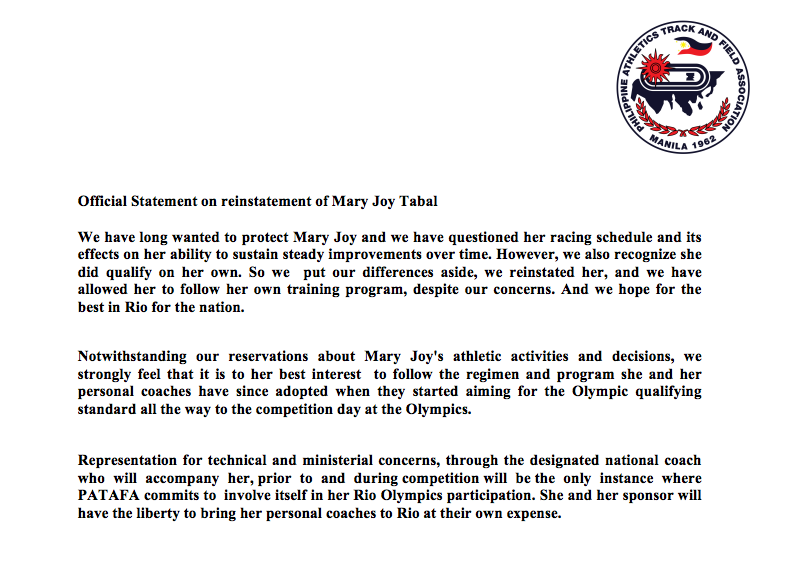 Here is a copy of both PATAFA’s official statement and their letter to Joy. 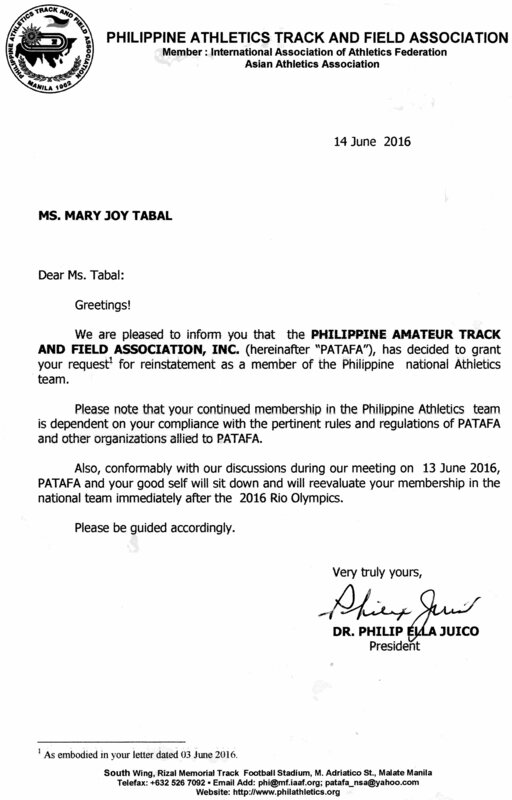 Ms. Mary Joy Tabal has taken another step in her request to be reinstated in the PATAFA national team. We met with Tabal and her major supporter, Cebu-based Motor Ace Philippines, represented by Messrs. Jonel and Chippy Borromeo, both active sports benefactors. We discussed the direction which Tabal wishes to take with respect to her future as a national athlete bearing in mind the short term, the forthcoming Rio Olympics, and the medium and long terms, after the Rio Olympics. In accordance with IOC, POC, IAAF and PATAFA requirements, we sent Tabal to the PSC Sports Science Center , headed by Dr .Alex Pineda, for the mandatory, unannounced out-of- competition drug/doping test. Results will be known in 10 calendar days. Tabal has agreed to comply with all PATAFA rules and regulations, both existing and still to be promulgated, although certain matters remain to be discussed with regard to where she will train and who her coach shall be. We will process all that we took up during what was a fruitful discussion and will need a few days to promulgate our final position on her reinstatement .